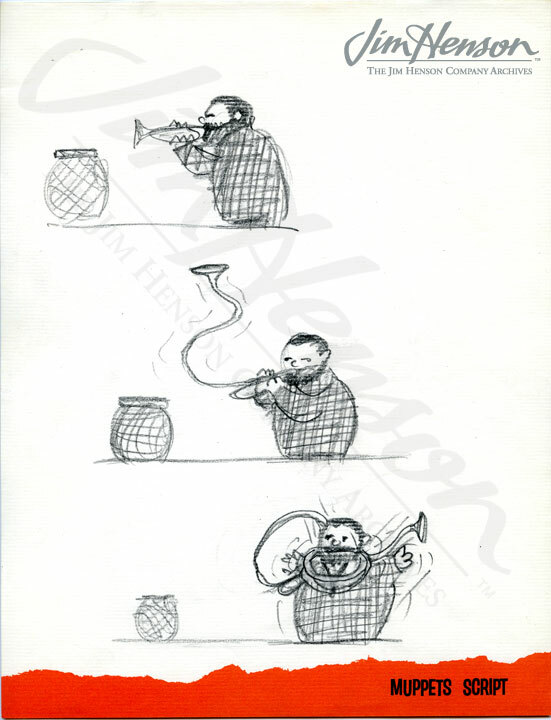 In 1965, Jim and his team (Jerry Juhl, Frank Oz and Don Sahlin) were contracted to perform pieces for three episodes of trumpeter Al Hirt’s variety show Fanfare. 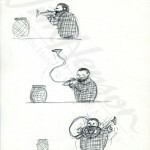 Taped during several sessions that July, they performed a range of work including the old Muppet standard, “I’ve Grown Accustomed to Your Face” featuring Kermit and a voracious Yorick and new work like “Java”. Conceived specifically for Hirt’s show by a 21-year-old Frank Oz, “Java” made good use of Hirt’s jazzy and upbeat performance of Allen Toussaint’s composition which had hit #4 on the Billboard Top 40 the year before. This abstract puppet performance featured two creatures made of dryer exhaust hoses. 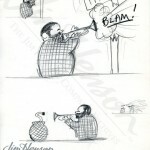 In typical Muppet fashion, the larger of the two characters seemed to have the upper hand, but once the smaller one gained confidence, he blew the large one away with a puff of smoke. Audiences reacted with surprised amusement, and Jim and Frank performed it again on The Ed Sullivan Show and The Tonight Show in 1968, on The Flip Wilson Show and The David Frost Show in 1971, and on The Muppet Show and The Tonight Show in the late 1970s. 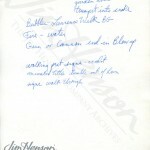 Jim also performed his two-headed monster (“Why do you call it your baseball act?” “Because we’re a double-header!”), his misunderstood robot (“I have a friend who’s a lawn mower. 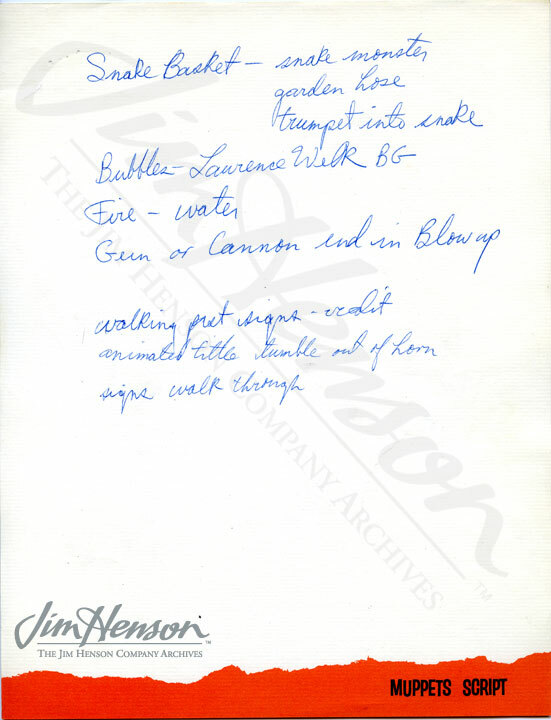 People are always pushing him around,”) and Kermit chatted with Al Hirt (when asked about meeting Jim Henson, Kermit told Hirt, “There is no Jim Henson…I made him up.”) Jim also did a bit with a piano, “Cool Jazz”, and his Balloon Conductor (who must have come from the Boston Pops!). 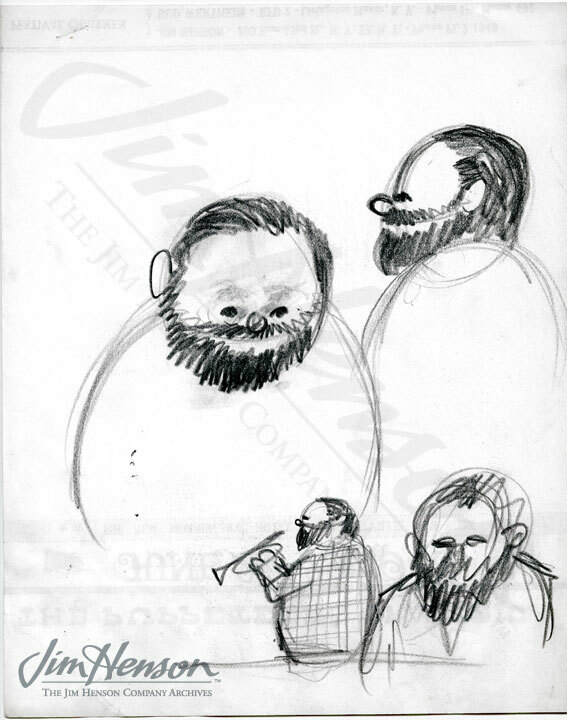 Jim sketch and notes for his Al Hirt’s Fanfare appearance, 1965. 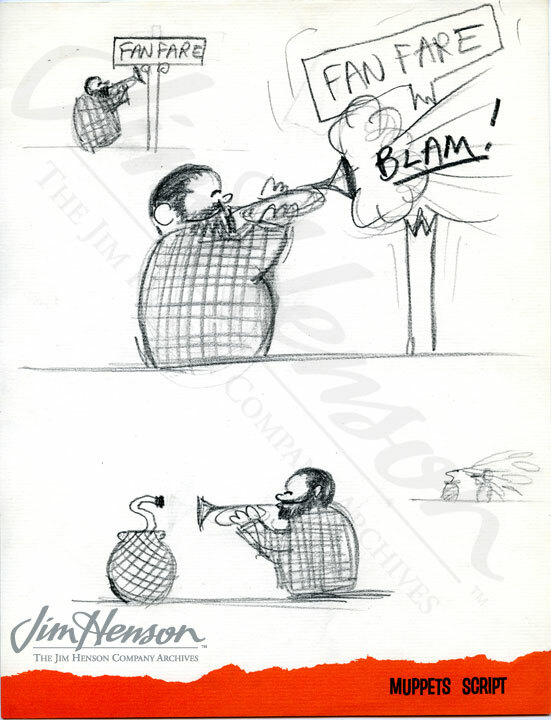 Jim’s idea for his Al Hirt’s Fanfare appearance, 1965. 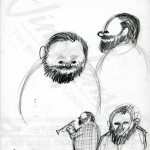 This entry was posted in 07-July '65, 1965, Appearances and tagged Allen Toussaint, Don Sahlin, Fanfare, Frank Oz, Java, Jerry Juhl, Kermit, The David Frost Show, The Ed Sullivan Show, The Flip Wilson Show, The Muppet Show, The Tonight Show, Yorick. Bookmark the permalink.